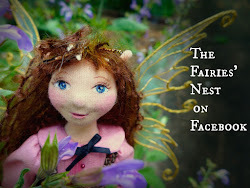 The Fairies Nest - OOAK Cloth Dolls & Fiber Fantasies: Fairies! Here are yesterdays objects...now attached to their owners. They were fairy ears! 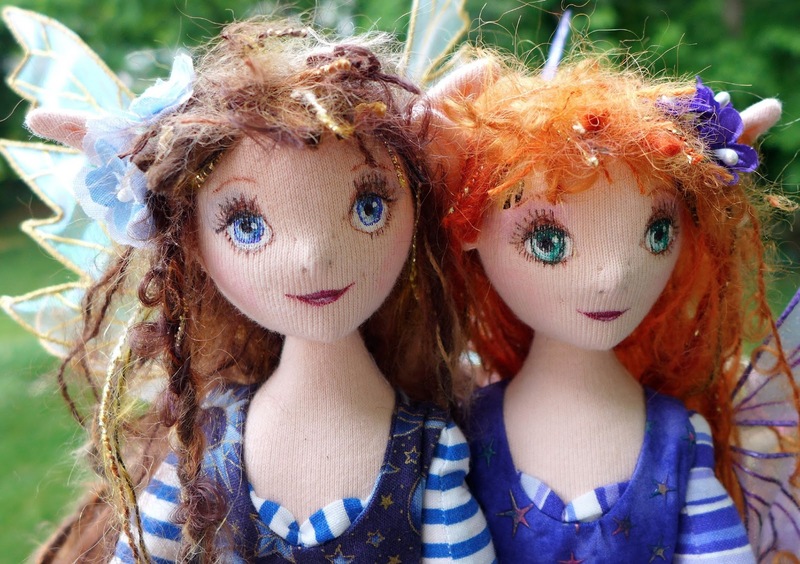 :) These cloth fairy dolls are a recent commission...ready to fly to their new home. 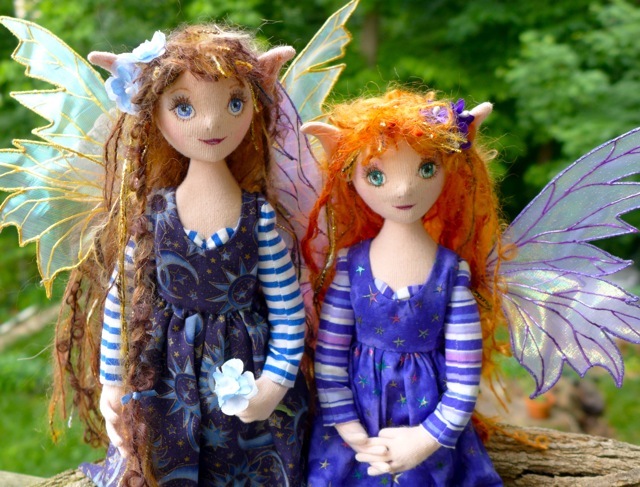 They are beautiful:) You make such sweet faces and I really like their little dresses...very pretty. While looking at the picture of these lovely dolls, my daughter came in and saw them. She immediately started pointing and saying, "I want it, I want it, pleeaase..." We both think they are beautiful. 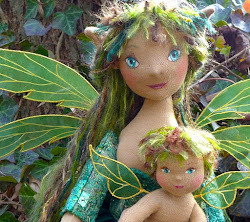 Your fairies are absolutely delightful. I especially love the wings. I think you did a tutorial on them awhile back. Your faces are sweet and demure. I love your work. 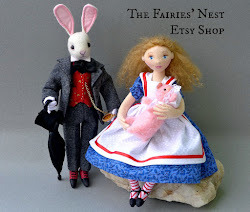 WIP Wednesday - What can they be?